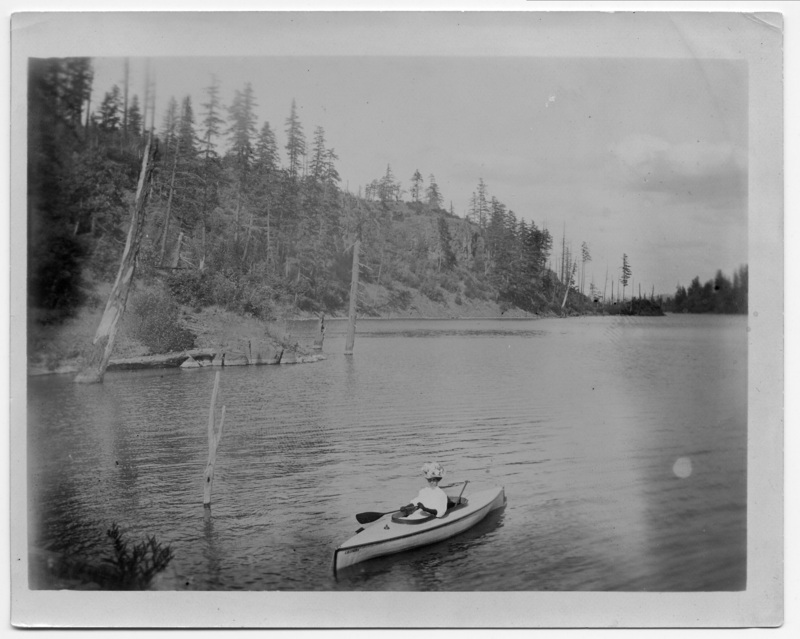 Bickner canoe & Lill on lake; 198 boats; gift of Ava Crowe. Description Yellowing; spot on lower right; scanned as Black & White. Better copies are 690a & b. Transcription Bickner canoe & Lill on lake; 198 boats; gift of Ava Crowe.